Gonolas await the next voyage through the waters of Venice Italy. 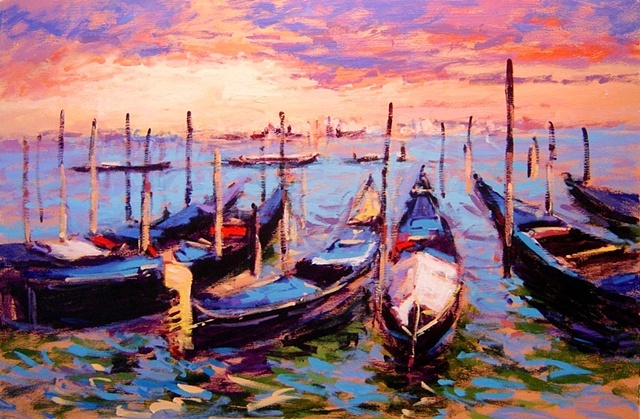 The shimmering water reflects the color of the sky and clouds as the boats jostle in the waves of the water. Blues and greens are sparked by reds, yellows and pinks in this scene of anticipation. This painting is sold.